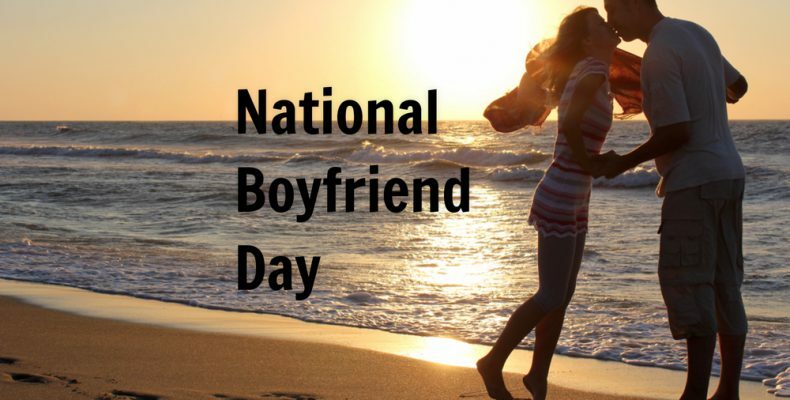 It is National Boyfriend's day today. To be celebrated on the 3rd or October every year, this day has been dedicated to the fantastic boyfriends across the world. And why not! The boys deserve their fair share of appreciation, love and yes, a day dedicated to them for all that they do for their girlfriends. However, while I believe materialistic gifts have their own importance, this day you might also want to have a real conversation with your bf expressing what makes them so special and why you love to spend time with them. Did you read about this recent hilarious event when a Boyfriend Ate Kit Kat The Wrong Way and Twitter Advised the Girl to Dump Him? And before you say anything, girls, let's collectively agree that there are a few things that the boyfriends do that we love to the core! A few qualities for which we wouldn't trade them for the world!!! While I am not disagreeing that they sometimes do become a pain in the a** but this national boyfriend day let's celebrate the wonderful things about them. Here are 5 such things. 1. When he hugs you after a long tiring day- Don't tell me that his hug doesn't melt you in a minute after you've had a tough day at work. Nothing can match the power of that hug. Erm... maybe a pizza along with it! But ya the hug feels heavenly, isn't it? 2. When he places a peck on your cheek in front of your friends just randomly. Oh! I can't explain that happiness. That validation, I believe is important. What say? 4. When he reminds you that you look pretty even when you think you don't. he just says exactly what you want to hear, the feeling is incomparable. 5. When he empowers you. The most important thing. No matter how much we diss them, a good boyfriend does play an important role in empowering the woman in his life. It's not always a woman behind a man's successes, many times it is vice-versa. Love Story of Storks: The Faithful Bird Travels 13K km Every Year To Meet His Mate. While these are explicitly my views on the best things about having a boyfriend apart from...ummm...the unlimited comfy hoodies and loose tees to steal, gobbling away all his fries when you said you didn't want any, warming your cold feet on his body, and being able to throw tantrums at him when you're sad! Let me also know about what are the best things about having a boyfriend, I am waiting!